Club Brugge goalkeeper, Kenneth Vermeer was selected in goal. 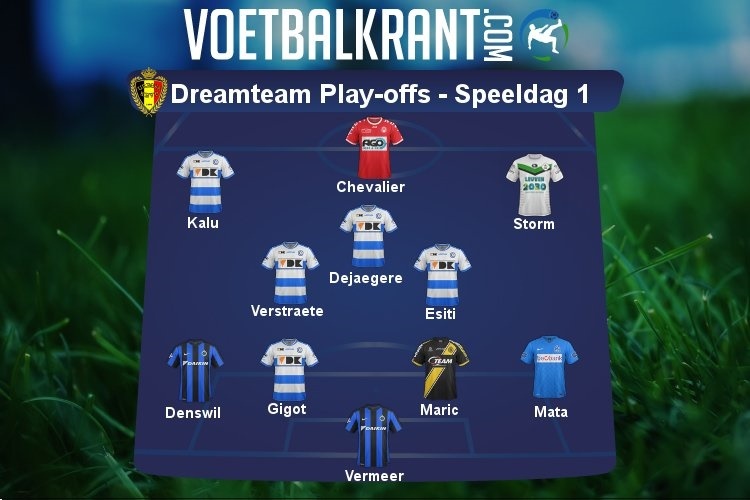 Two Nigerian players, Samuel Kalu and Anderson Esiti made it into the Team of the Week in Belgium after they did exceptionally well for their club, KAA Gent in the first set of games in the playoffs. The two players are in a 4-3-3 formation interestingly dominated by Gent players; with four in the roster. Club Brugge goalkeeper, Kenneth Vermeer was selected in goal for the Team of the Week. In the defense, the four chosen players are Stefano Denswil, Mitrovic , Maric and Clinton Mata. Kalu who has been fantastic this season is paired with Nikola Storm and Teddy Chevalier upfront. It is yet to be seen if the Super Eagles handlers will look the way of Kalu or Esiti as they look for quality addition to their World Cup squad.